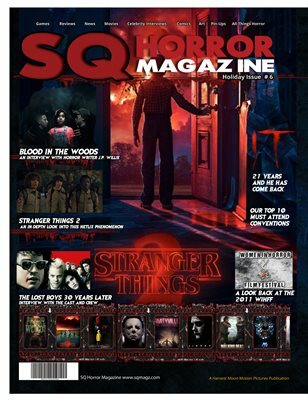 Stranger Things Season 2, The lost Boys 30 Years later, Blood in The Woods by J.P. Willie, Stephen King's IT and more. 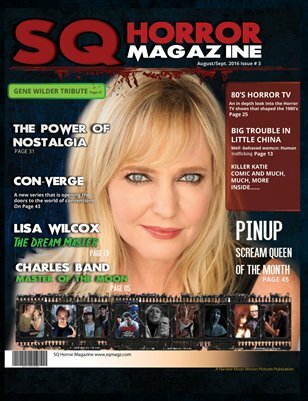 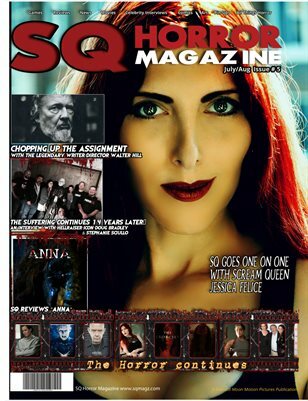 In this issue we pay tribute to George A Romero, Interview Walter Hill, Doug Bradley, and actress Jessica Felice. 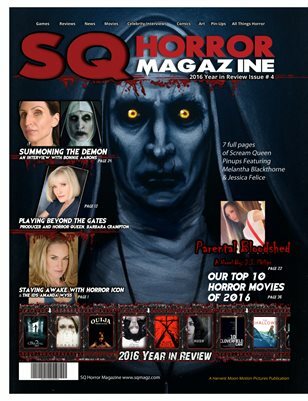 Tons of Horror goodness.